This is an oval ADT Messengers porcelain sign. This particular ADT Messengers sign is blue with white text. 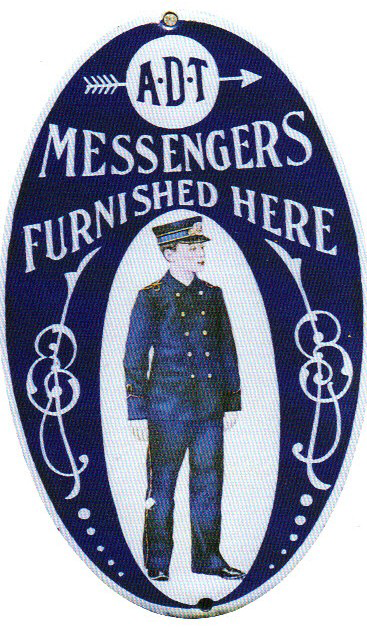 It reads, “A-D-T Messengers Furnished Here” and features a man in a blue uniform at the bottom of the sign.